What started more than 100 years ago as a way for a man to get home in time to enjoy his lunch is now a landmark. 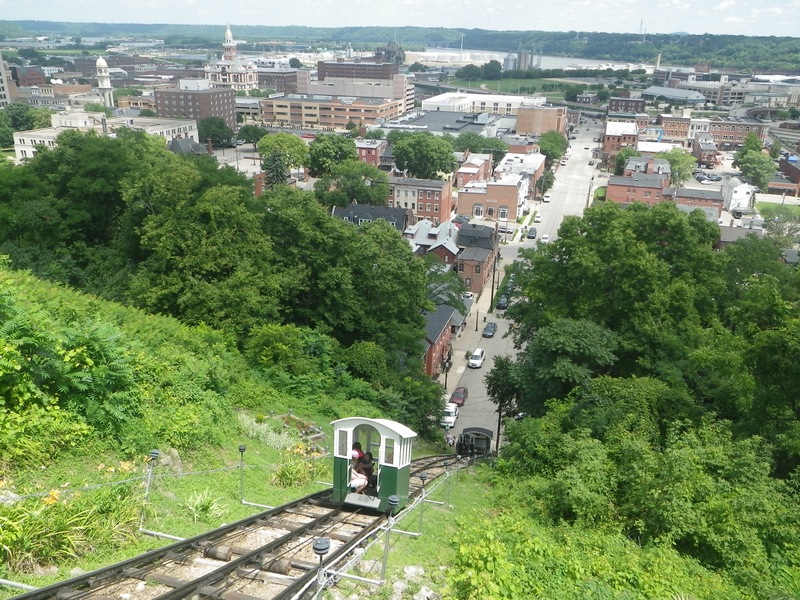 The Fenelon Place Elevator in Dubuque began when a banker, who lived at the top of the city’s bluffs and worked below, tired of the half-hour buggy ride up and half half-hour ride down that ate into his lunch break. 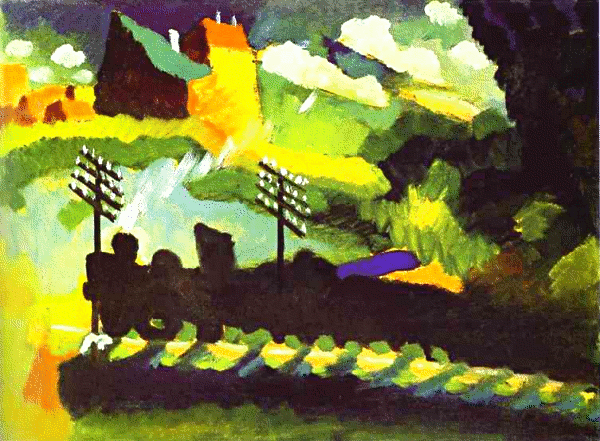 In 1882, he commissioned a rail elevator and had his gardner work the contraption. After awhile neighbors began asking for a lift (or a lower), and the banker began charging 5 cents per ride and eventually handed over the operation. Today, a century and a few devastating fires later, the elevator (actually a funicular with two cars that uses the weight of the descending car to pull the ascending car) is still going. The ride is about 300 feet with a 200-foot elevation gain. And the cost isn’t much more than when it started, only $3 round trip. The views of the town and the Mississippi River are worth it. Our video of the ride is here. I spot some of the most beautiful things between assignments, which can involve some of the worst mankind can inflict upon itself. 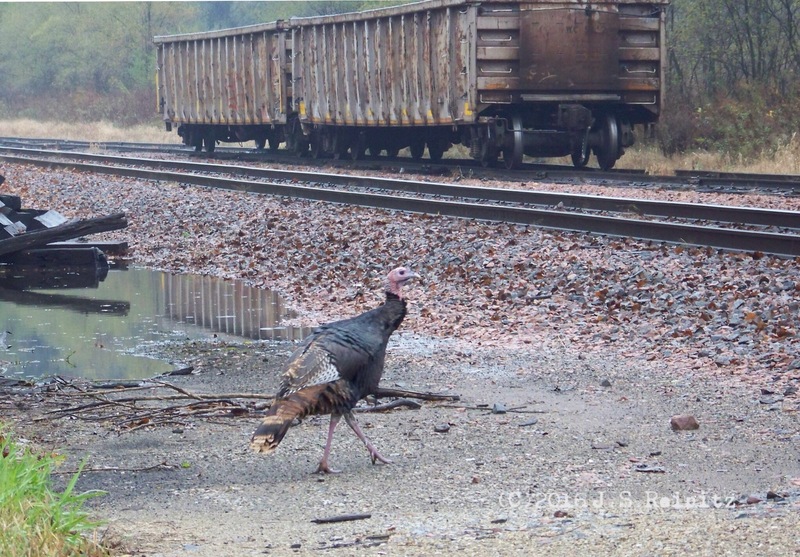 In this case, I passed a wild turkey crossing the train tracks as I traveled between two parts of the same assignment. Moments before, a gunman had opened fire on a passing car in one part of town, and the driver crossed the tracks as he fled to another part of town where he stopped at a friend’s house and met paramedics, who treated a gunshot wound to his leg. The guy lived, so he has a little bit to be thankful for. About 24 hours after the train derailment notice, the UPS tracker showed my hiking pants had survived the carnage and had presumably hopped another train, arriving in Kansas. So, they may still make it in time for the trip. I had assumed the pants were lost in a crushed box in a debris-strewn ditch or charred beyond recognition in a smoldering heap of rail cars somewhere in the Great Plains. Not to say that my life is so shallow that I have nothing better to do than sit around fretting over the progress of a pair of clearance pants I bought online. I was just intrigued by the derailment notice. It brought up so many questions. I searched around for any mention of a train accident an hour out of California but was unsuccessful. Also, I tweeted the delay when it first happened, and UPS tweeted back, telling me to continue to check the tracking site for updates. So they apparently have staff that patrol Twitter for such mentions. I’m eager to hear answers, observations and theories on these mysteries. If you have some, feel free to share in the comments section below. It looks like the hiking pants I ordered won’t be arriving in time for the trip. It’s always amazing how nature reclaims the ruins of man. Vast, once thriving cities are reclamed by the jungle after people move out. Unused roads are overtaken by grass and trees. 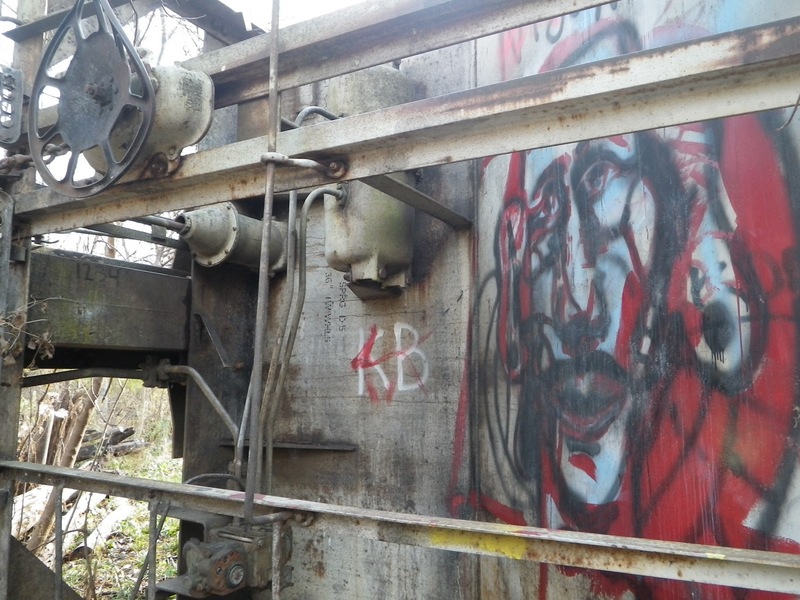 And the overturned rail cars begin to become one with the forest. We first spotted the old train wreck about 10 years ago while hiking in a little, out of the way park that boasted nothing more than a wooden sign and a gravel parking lot. The accident was recent. 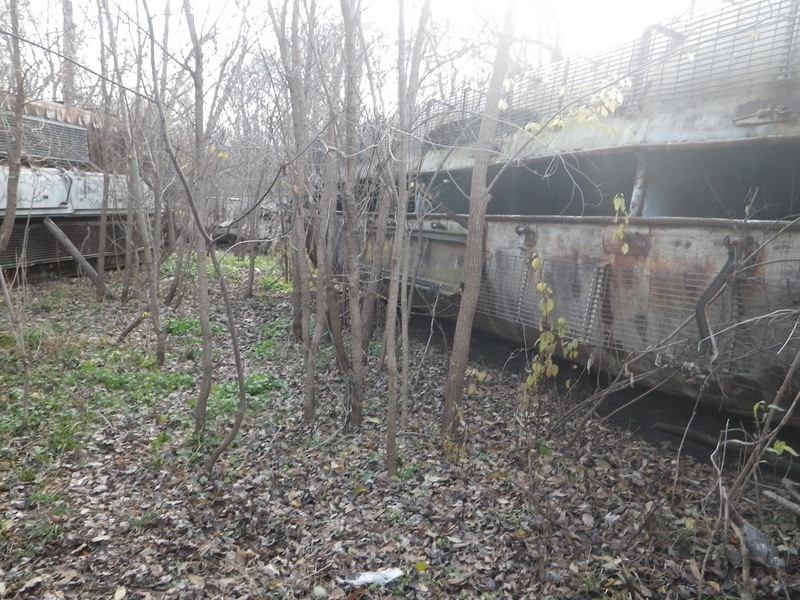 They had repaired the tracks, but you could smell the cargo — harvested corn — starting to ferment inside the cars. The rips in the ground from impact were fresh. Trees and brush damaged in the crash were heaped in piles. We figured the rail company would remove the cars, but they remain. A few weeks ago we returned to the site, which has become popular with graffiti artists and an airsoft group. 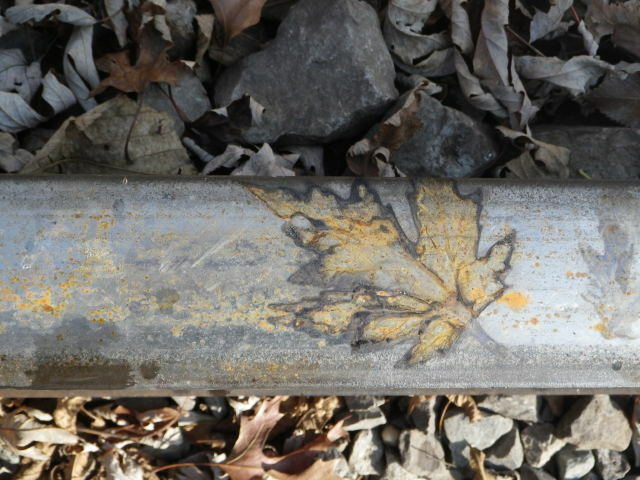 The woods are beginning to encroach back into the accident scene, and saplings have sprung up between the train cars.